If there are any impending events such as birthdays, weddings or parties, it is quite common for the most people to rent a vehicle. When it comes to renting a vehicle for any special occasion, limo hire Melbourne can be the most popular yet appropriate choice. A limo promises an awe-inspiring and classy experience to the passengers. As everyone cannot have the means to own a limo, the best thing to enjoy such a luxurious ride is working with a limo rental company. While black and white limos fit the most formal occasions, pink limos add a special touch to the event that you are planning to organise. 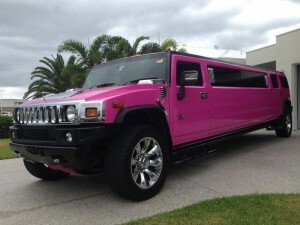 Pink limo hire is a perfect choice of vehicle for those who want to party like a celebrity. Limousines are usually used by celebrities and rich people, but limo hire makes it possible even for common people to travel in these luxurious vehicles. Just imagine that you and your friends are having fun exploring the city in a pink limo. You will feel like a pop idol and get a memorable and lasting experience. All eyes will be glued on you when you arrive at the destination in a pink limo. Pink limo hire is not only chosen for party purposes but also for romantic occasions such as weddings, engagements and a simple date. Taking your partner for a ride on an extravagant pink limo surely warrants an experience that she will remember forever. If you are endeavouring to create a strong impression towards your companion, there can be nothing better than hiring a pink limousine. The prominent pink shade helps in creating an intimate and romantic mood that both of you enjoy it intensely. Most people in Melbourne plan for a winery tour once in a while. It gives you the opportunity of exploring different wineries and sipping a glass of wine with your friends and family members. To enjoy the trip to the fullest, you must choose the best limo hire for winery tour that can provide meticulous services. Why choose pink limo from Exclusive Limousines? Stunning, luxury, fantasy, charming and attraction are associated with our Pink limo. With 14-seater options, the inside of our limo is designed to celebrate any occasion explicitly. Featuring stunning dance floors, full-equipped bars, disco lights, LED lights, entertainment systems and other valuable elements, our pink limo is an appropriate choice for wedding, birthday, engagement, get- together, romantic date, corporate transfers and much more. Simply give us a call! We will get in touch with you!